I love to tell this story because it contains such an incredible truth, one that few seem to realize. I tend to be a completest. When I started reading Dostoevsky in high school, I didn't stop until I had read all 52 or so novels and what-not. Then I went on to learn Russian on top of that. And I will barely mention here founding the All-Music Guide, and compiling the largest database of music on the planet, literally all recorded music from 10-inch records onward. And there was the All-Movie Guide, one of the two largest film databases, and on it goes. There was the concert music poster database (donated to the Bentley Historical Library at the University of Michigan), again the largest, and there was the largest astrological library that I donated to the University of Illinois last year as part of their permanent collection, and so on. So when I dig, I tend to dig deep. That paragraph was just to put you on notice that I am a long-distant runner when it comes to my enthusiasms. And now for this particular story, which I have told before, but you can never hear it enough because it contains such a vital truth. It started with my reading of Franz Kafka. Of course I read most or all of Kafka, but I seldom stop there. I seem to always want to know more about the author, so I read autobiographies and, if I have to, biographies. And there are journals and diaries. These I read with great relish. "Each sentence that I write, it already has perfection." "The special nature of my inspiration is this, that I can do everything, not only with respect to a piece of work. I write a sentence at random, for example, "He looked out the wind," it is already perfect. His approach to writing was different from many writers, and this same principle applies, universally, to anything we do. Instead of just perfecting his writing skills, Kafka worked on perfecting his mind, which is exactly what Tibetan Buddhist masters do. Once that was done to whatever degree he wished, then, of course, every sentence he wrote had perfection, because his mind had some kind of perfection. Make sense? It does to me. Many people take the opposite approach; they learn one skill at a time until they have acquired the set of skills they desire. Kafka did just the opposite. Of course he learned basic writing skills. Every occupation has some sort of technique that is required, but beyond that he somehow perfected his mind rather than further hone his skills. 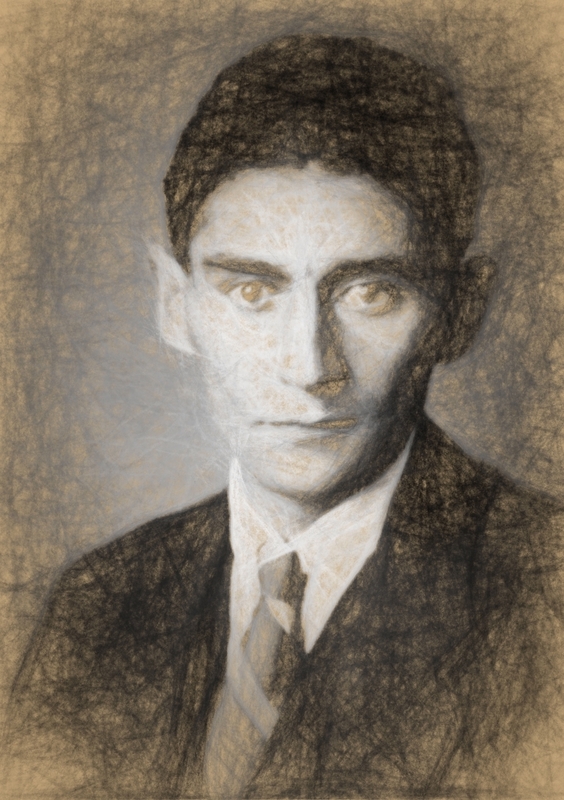 Now, I don't know whether Kafka actually did this or not, nor does it matter, because this approach is all that really is important, the idea that if we can perfect our mind to a high degree, then everything we turn our mind toward will have a certain degree of perfection, provided we have learned the basic technique for the skill. It's like being able to shine a mental flashlight wherever we look. This is the approach that I have taken in my own life, and I can whole-heartedly recommend it. Honing my mind-training skills has additional benefits other than just the spiritual ones. The awareness and insight capability that comes along with meditation practice proves to be very valuable in everything I do. The "perfected mind" is a kind of universal adapter that fits any situation, a cornucopia that endlessly produces, and at no extra cost. I am not saying I have achieved anything near perfection, but I can say that I notice the difference in everything I do. Whatever I turn my mind to seem to unfold with insights and clarity that just were not there before, or I didn't see them, which is the same thing. Instead of acquiring skills in a serial fashion as I was kind of taught to do by society, I am spending more time perfecting the lens of the mind and then using it in anything I do, and the results are remarkable. I am remarking about them right here. Anyway, that is the idea, whether Kafka meant (and used) it that way or not. This was way before I got into Tibetan mind training methods, but they are parallel in many way. Instead of looking here and there, darkly, if we spend some time cleaning our mental glasses, everything we see will be much clearer. I wish I could communicated how worthwhile this approach has been. Give it some thought.